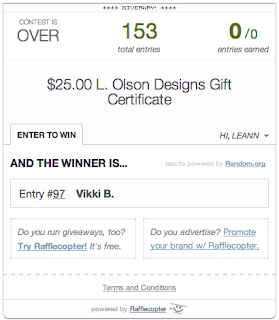 Thank you all for entering the L. Olson Designs giveaway! 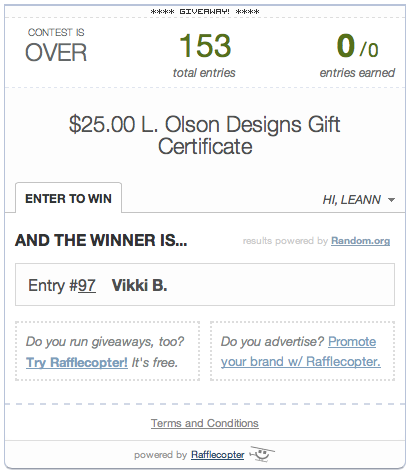 Congratulations to Vikki Billings! I just sent you an email.